I’ve never liked Peeps. There, I said it. They’re too chewy, too sweet, they fill up your mouth and they’re just disgusting! 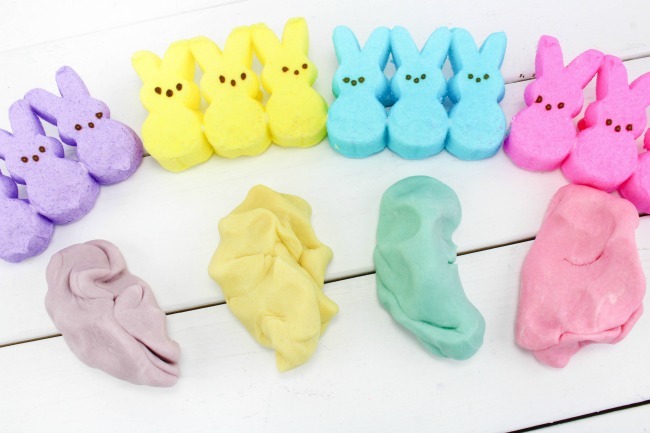 However, they are also adorable, come in the cutest colors and are an extremely festive treat to have around the house when celebrating Easter. One way I’ve found Peeps to be downright yummy is by using them to top brownies. Grab my Easter Brownie Recipe here. But when you are all done trying to eat them, you can make them into a fun activity for kids instead! 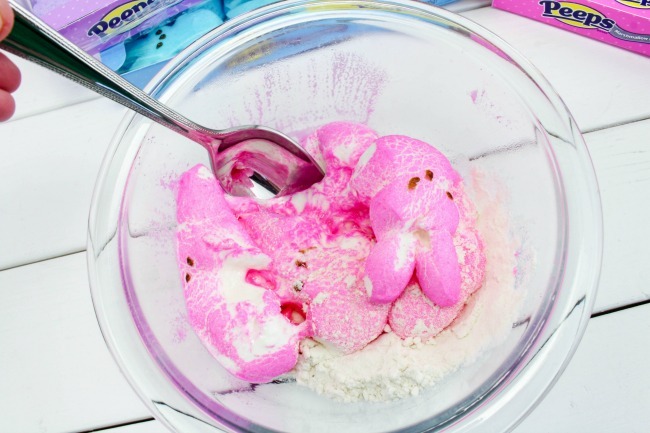 Making playdough with marshmallow peeps or bunnies, is a great way to use those leftover peeps and celebrate the holiday with your kids. 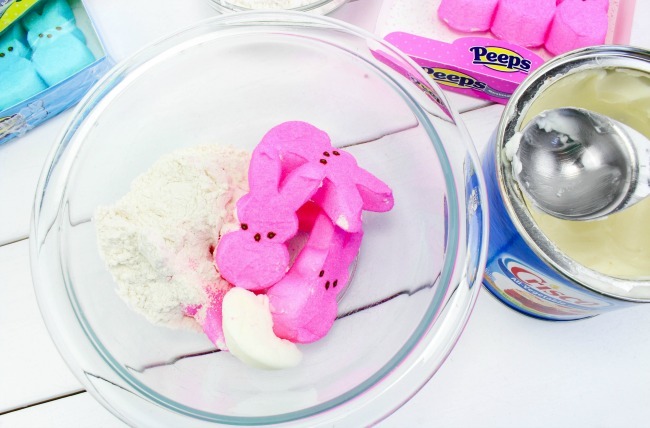 Place 5 marshmallow peeps in a microwave safe bowl, add 4 Tablespoons of flour and 1 Tablespoon of Crisco. Place in microwave and heat for 30 seconds, then mix well. Next, take it out of the bowl and kneed it in your hands for a few seconds. If it’s still a tad sticky add a dusting of flour until the stickiness is gone. Now it’s ready to play with! 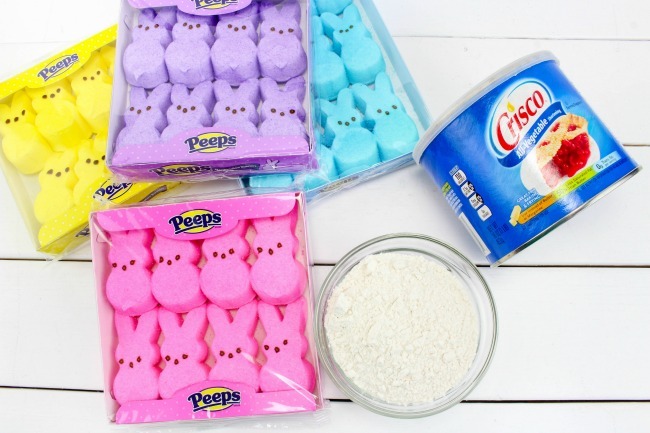 Repeat steps for each color of peeps. 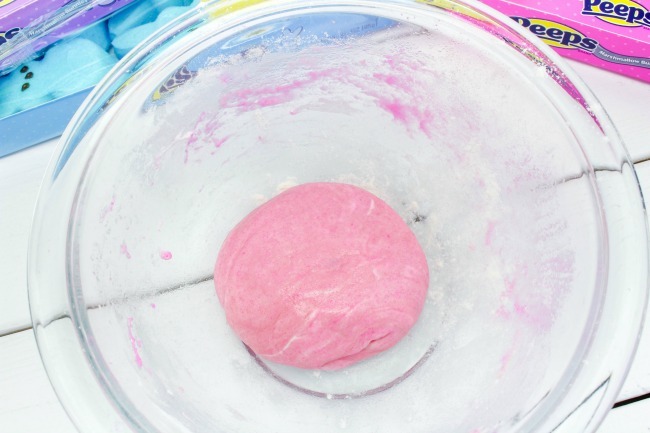 Note: Store the playdough in an airtight baggie and should keep for 30 days. If it gets a tad hard then pop back in the microwave for 5-10 seconds to soften. Do you have a favorite way to celebrate Easter with the family? 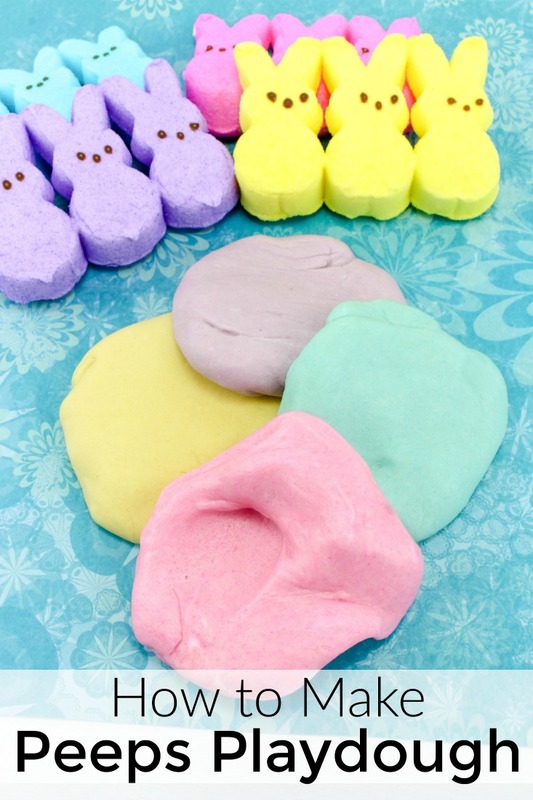 Hey Buddy!, I found this information for you: "Peeps Playdough". 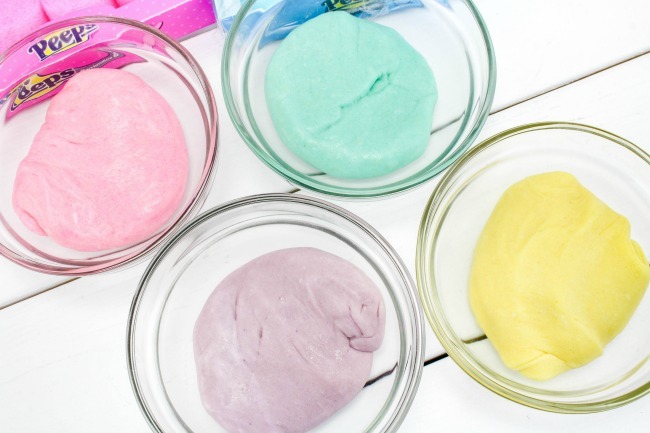 Here is the website link: https://www.beautythroughimperfection.com/peeps-playdough/. Thank you.